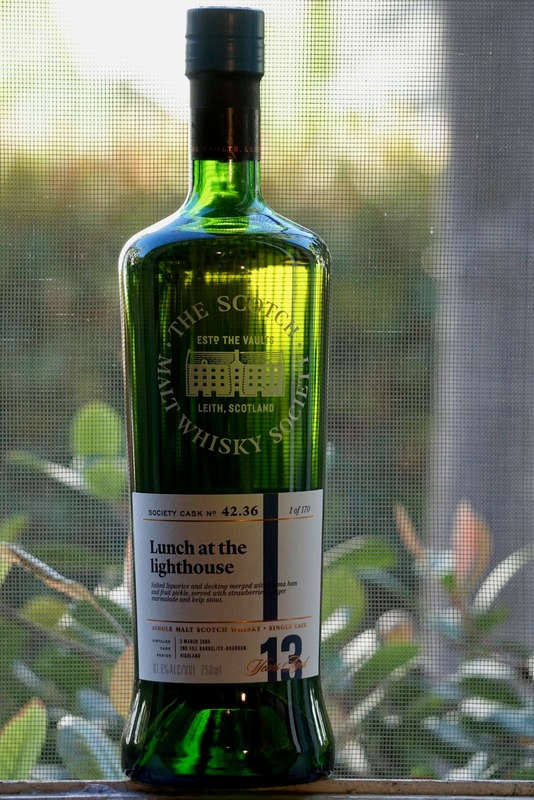 SMWS Cask 42.36 13yo (61.9%): I know it's been a while... Let me pick up where we left off like it was yesterday: Second SMWSA bottling to follow cask 96.22 I reviewed before is a 13yo Ledaig carrying the cask number 42.36. It is distilled on March 3rd, 2005 and matured in a 2nd fill ex-bourbon barrel which yielded on 170 bottles. Color: Sauvignon Blanc, straw color with very persistent and oily legs. Nose: Sea breeze, freshly shucked oysters and pool water. Peat doesn't jump out as the first thing. Faint diesel fuel, lime juice and unstruck matches. A few drops of water opens it up nicely. More fruit and even less peat now: Sparkly lemonade, four berry jam and honey. Cranberry juice and grape preserves. 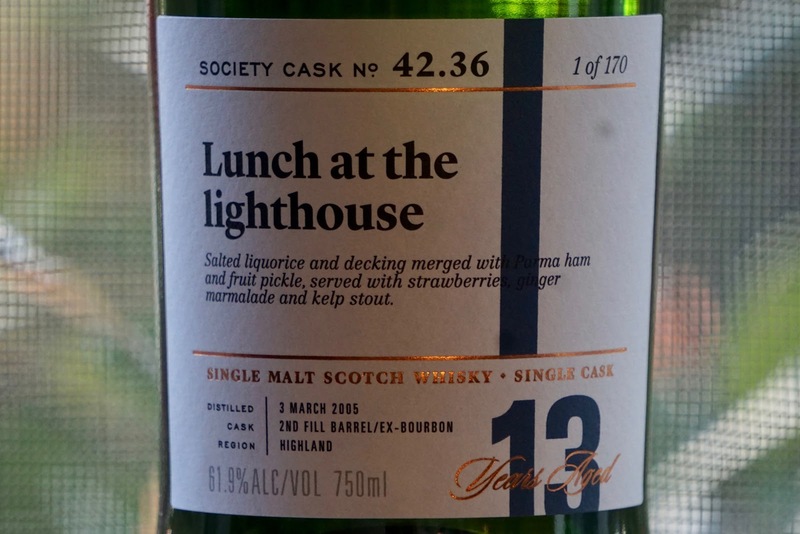 Palate: Oh, my... It's salty. Mouth covering rock salt, grilled banana peppers and charred steak. Again water works. Grilled pineapple rings, red pepper flakes and spicy hot beef jerky. Finish: Very very long with red pepper butter.